Fax is – and will remain for many years – one of the most important communications channels in the business world. Complementary to the Internet, sending and receiving facsimiles is invariably a requirement for any comprehensive and successful e-business solution. Fax is seen in many cases as more secure than email and more likely to be evidentially accepted. The synchronous nature of fax and the difficulty of corrupting fax messages (through hacking and other means) are both powerful reasons why the volume of fax traffic is still increasing and why fax is accepted as a more reliable communications medium than email. Fax documents remain essential to business processes across all industries. MessagePlus/Open allows the complete integration of fax communications into the existing IT infrastructure of an enterprise. Outgoing faxes are sent directly from virtually any computer application. Incoming faxes are automatically distributed to databases, mail addresses, applications, Content Management systems or devices. MessagePlus/Open allows significant cost savings to be realized almost immediately. 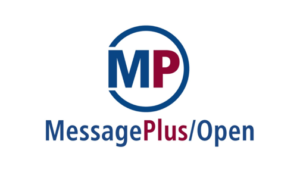 With MessagePlus/Open you give the green light to reach new horizons for enhanced security, confidentiality, efficiency, and compliance with data retention regulations for fax messages.